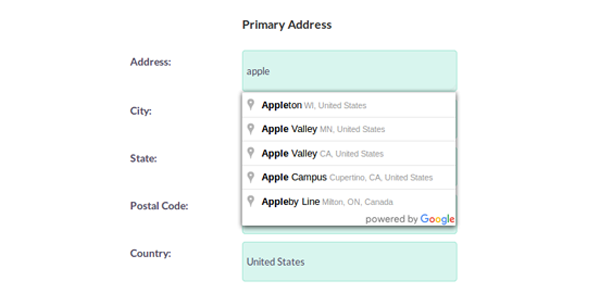 Address AutoComplete suggests your Lead/Contact addresses as you start typing. The address suggestions are with the accuracy of the Google API. No more typos in entering your Lead/Contact address information. 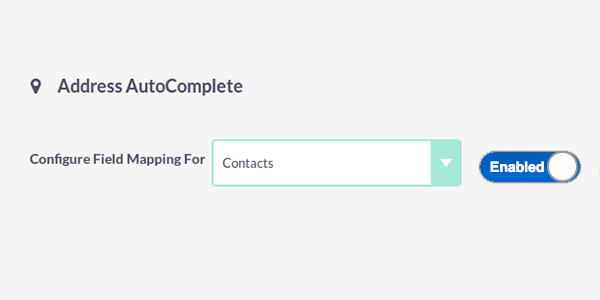 With Address AutoComplete the contact information of your Lead/Contact can easily be update into your CRM. The module suggests as your salesman starts typing it. The module works for Contacts, Leads, Invoice, Quotes and Accounts. The address are suggested with the accuracy of Google API. The simple field mapping enables to relate all the address field based on your address specification format. 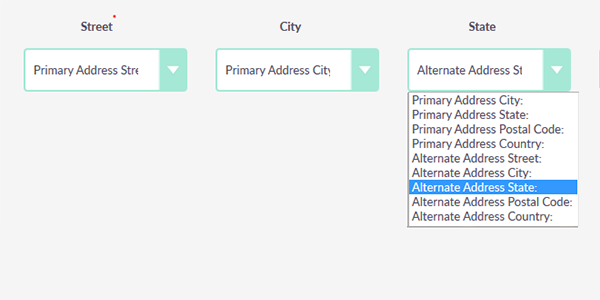 And when your salesman enters address information in one of the field, the Address AutoComplete completes the other address fields like street, zipcode, country, etc,. Address AutoComplete has complete control over the module enable/disable. The module works for Invoice, Quotes, Contacts, Leads & Accounts, and you have control to switch ON and OFF on your required CRM modules.